Up in the evening after the inspection. Figured I’d done enough this year! Gardening Lady had done a bit more clearing. 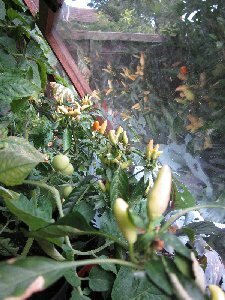 She’s got rid of the Charlotte haulms, so the remaining plants are tricky to see but I know where they must be, and it will stop them picking up blight. 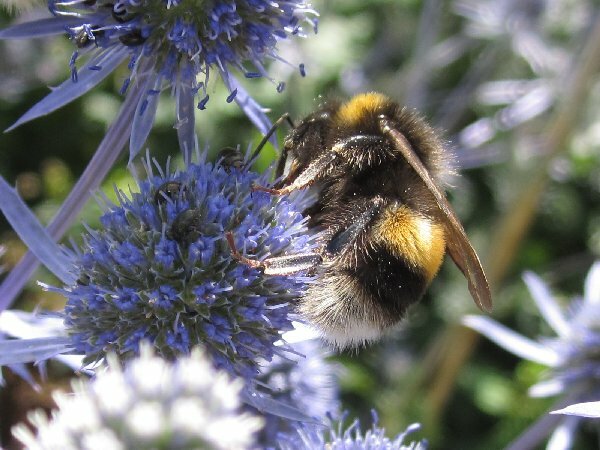 Also she’d had a go at some of the onion bed weeds: good start, I finished it off. The largest onion is about tennis ball size and I don’t usually get them this big. 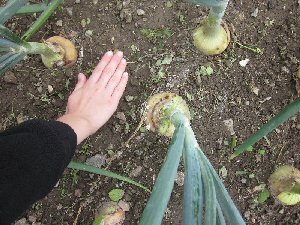 Of course other plots have the biggest onions you ever saw, but I have always battled to get decent ones and I mustn’t grumble at this year’s. Didn’t take up camera so I’d better get pics next time! 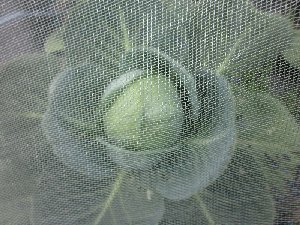 The minicole summer cabbages are approaching picking sizes: biggest is about 4” across (decent for a minicole) which is enough for one bowl of coleslaw. The red cabbs are getting very big hearts now. Two of them are much larger: about 5” across. By October these are going to be quite large! Decided to pick all of the shallots and put them to dry out a bit, and also dug up more Charlottes. Minicole cabbage. Ooops focus, Onions, and small boy’s hand. 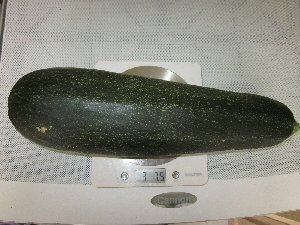 The marrow, before I ate it! but nice shot of the netting as a result! 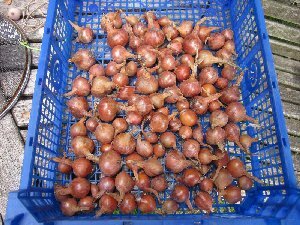 Spent an hour sitting outside back home in the afternoon cleaning the shallots, which were dry enough to sort out. In total there were 127 of them, from 20 original bulbs. Result! 6-fold increase! 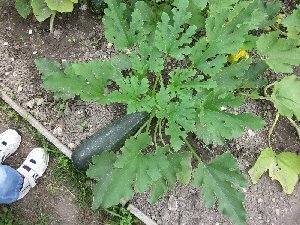 Just a quick pop up to see what the courgettes were up to, and found I had more small woopsmarrows. Oh dear! Picked more runner beans and the two woopsmarrows and a few more French beans. Really ought to water stuff at some point, but it’s supposed to rain tomorrow. Blight warnings all over the place this week: today was our first full Smith Period, so I’m glad the Charlottes are cut back and that all my other potatoes are Sárpo Mira! Up to pick anything I could and water. 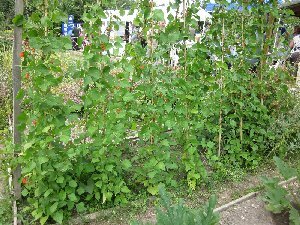 The runners were looking very wilted and haven’t grown too much so I definitely needed to water them. 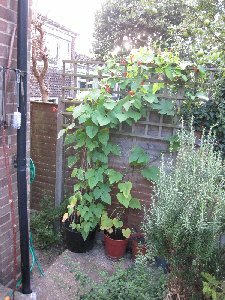 Ditto the courgettes, which had only grown four smallish (ie normal sized!) ones. 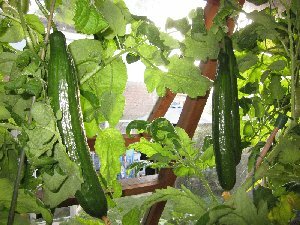 Watered everything and picked runners, the courgettes and some Bramley’s, which thankfully will cook well regardless of how ripe they are. I think I’m going to call the woopsmarrows “margettes”. Inevitably after watering everything in sight, it rained hard overnight. 8mm! Up again to check over and water things. Found, astonishingly, that some of the purple sprouting broccoli is heading already! I have no idea why it’s so early. But then again, I also have no idea which variety it is since I bought plug plants. 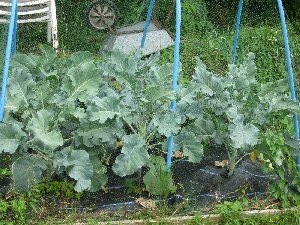 Cabbages doing nicely too and I really ought to think about pulling the onions. Going on holiday soon, so won’t be up for a while.